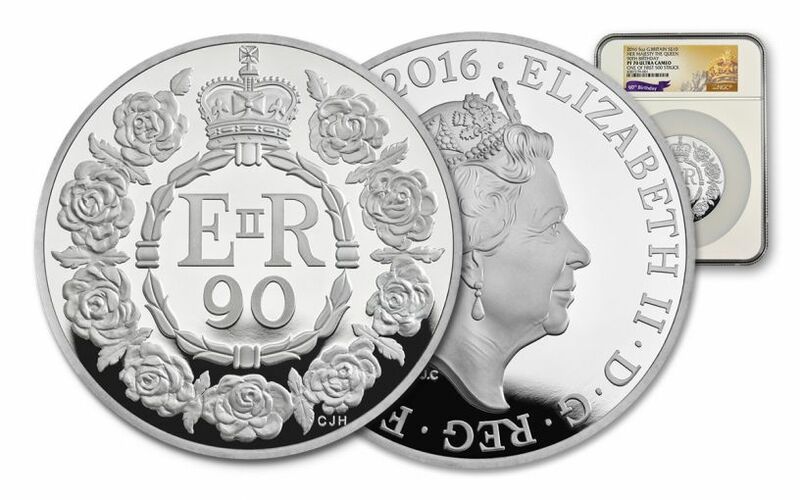 Celebrate Queen Elizabeth II's 90th Birthday with This Perfect Five Ounce Silver Proof! 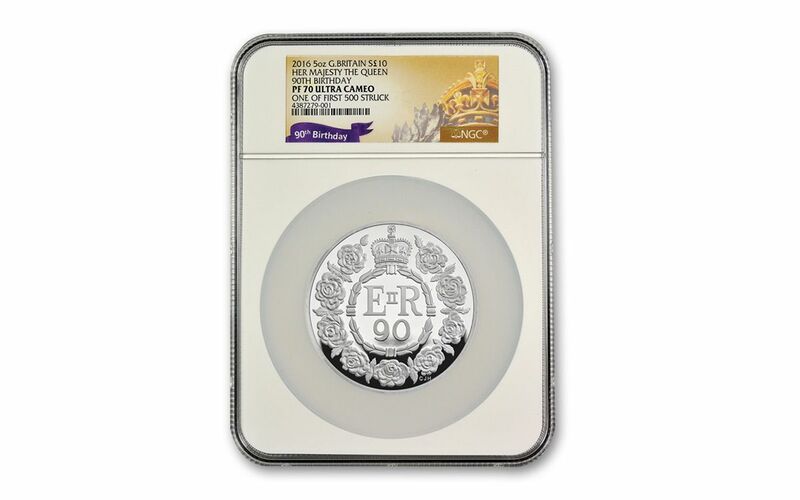 Struck by The Royal Mint in celebration of Queen Elizabeth II’s 90th birthday, this five-ounce silver proof has been certified by NGC (Numismatic Guaranty Corporation) to be in Proof-70 Ultra Cameo (PF70UC) condition and as one of first 500 struck. Each coin comes in a wooden presentation case and with a numbered Royal Mint certificate of authenticity. 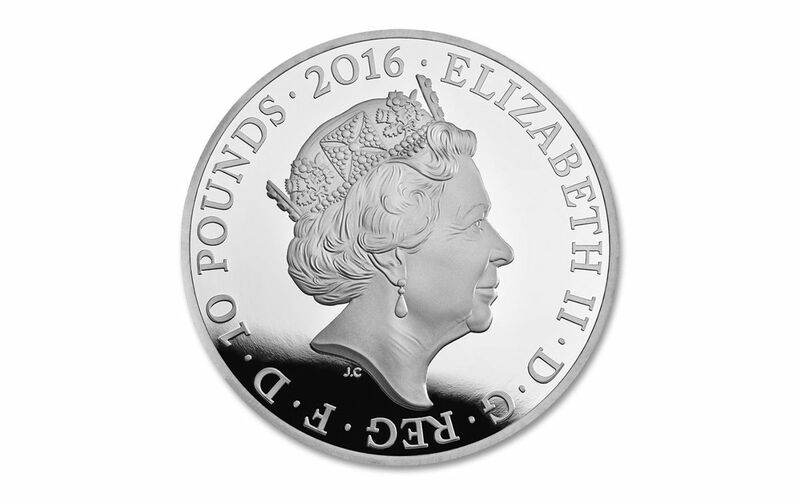 The coin's face value is £10 (ten pounds) and the five-ounce silver content is 99.9% pure. With such a limited edition, it's certain to be highly sought after by collectors around the world, where Her Majesty reigns as one of the most popular coin themes. The obverse of the coin features a stunning portrait of Her Majesty. 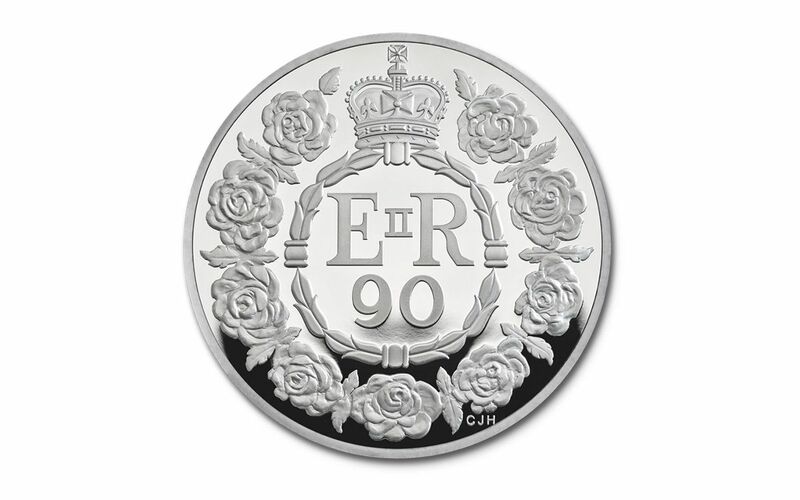 The reverse shows nine roses, one for each decade of the Queen's life. Designed by artist Christopher Hobbs, he was inspired by the heraldic rose of England and the Queen's love of flowers. The central monogram represents her name and title – EIIR – which is surrounded by the classical wreath of nine roses, each different from the other. Add this tribute to your collection today!